This photo and video is the 12 month mark from my last procedure with Dr. Umar in which he placed 3000 Beard Hair grafts in my crown area and the top center part of my head. 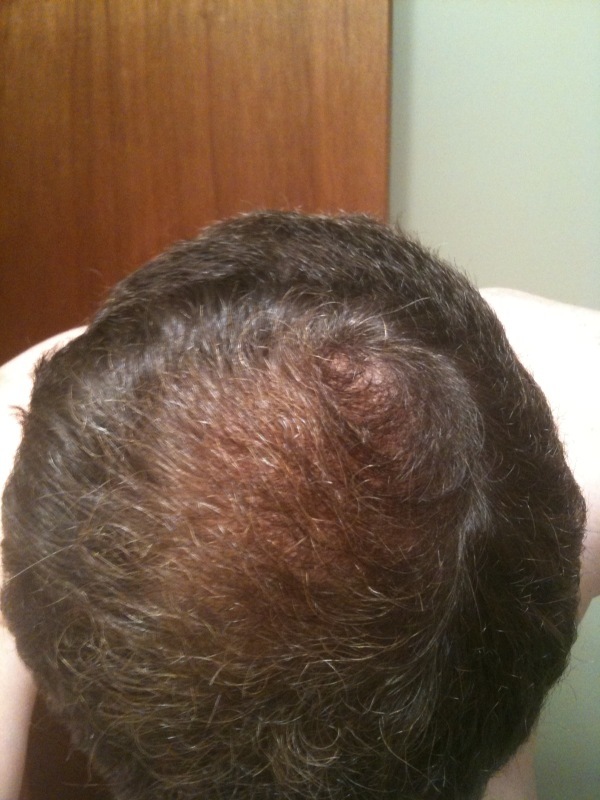 As I have previously noted, before this procedure I was not experienced with BHT but rather only scalp hair transplants. At the 6 month mark or so I became very discouraged with my results, and I contacted Dr. Umar with photos and emails regarding my progress at the 6 month mark. 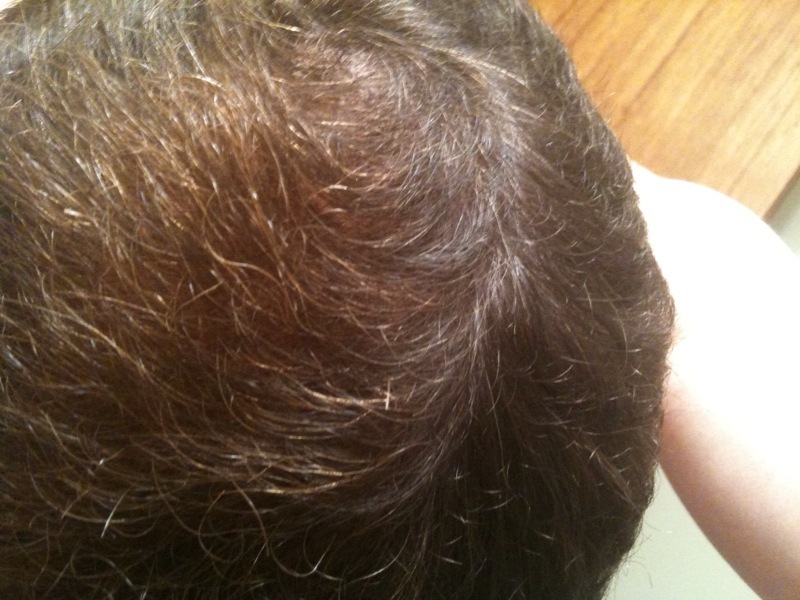 Dr. Umar told me that I could not access the full results of the procedure at the 6 month mark, and that it would take up to a year before we could determine the success of the procedure–especially because we were dealing with non-head hair. 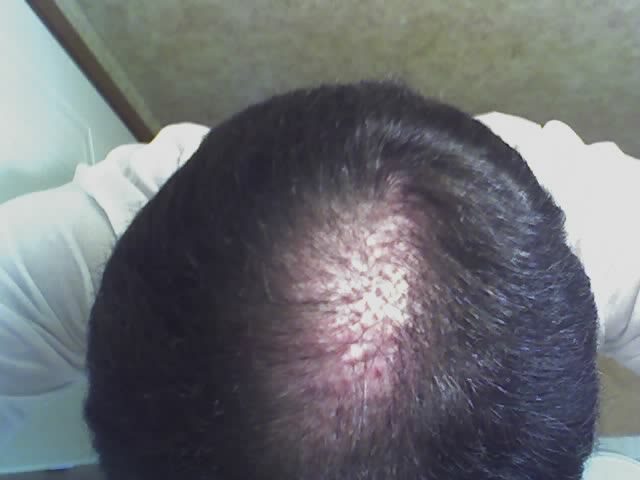 Being fairly experienced with hair tranplantation I knew that it took a lot of patience–I now know that it takes even much more patience when dealing with non-head hair. I have also learned that you cannot always look at other people’s photos and try to gauge what your results should be at a certain time frame. The first and second photo are before, and the third and fourth is at the 12 month mark after the last procedure. 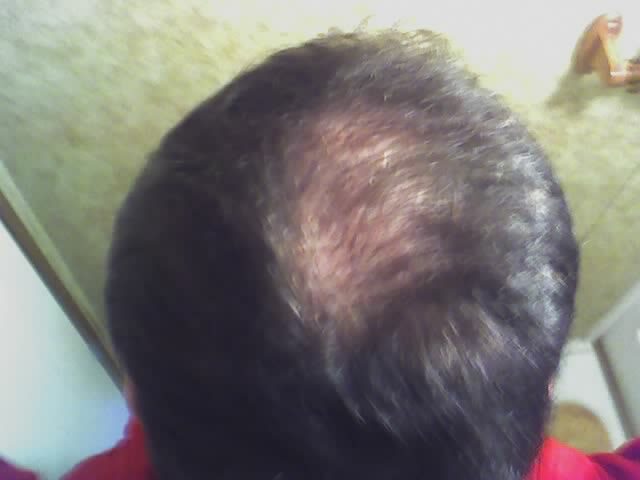 Hairsite will post my video of the 12 month mark shortly. You will notice that I took both the photo and the video in extrememly bright light, and I vigorously combed my hair in every direction. There is no distortion or attempt at deception whatsoever with my results. This is probably the best result I have seen using beard grafts. you must be thrilled. Over how many days was the procedure performed and how has the donor area healed? Any pic of the donor? I have been following body/beard hair for a long time, I honestly think they are quite natural, granted it s not exactly like scalp donor but it wasn’t so bad that people could detect immediately that you have chest hair on your head either. » healed? Any pic of the donor? It was a 2 day procedure. I do have some pictures of the donor are after healing that I will post soon. I can really see the improvement in the past 2 months, the grafts blend in very nicely with your own hair, I couldn’t tell you have beard hair on top.